Take spirited flight with the God's Treat strain of marijuana. She'll explode your mind into a Sativa-crisp realm where your creativity is inspired and your fun side surfaces readily. The name "God's Treat" was derived from the parent strains: God Bud and Dutch Treat; each an obvious superstar strain in its own right. Bred by Jordan of the Islands, God's Treat shows off deep, dark green leaves that are quite Sativa-like. She performs best when she is left to develop several colas instead of just one main, central cola. Early topping will create a multi-cola, even canopy that will absorb light in balanced style. CannabisSearch.com's God's Treat Marijuana Strain Buzz Rating: Sativa-Dominant Mental Highs That Make Everyone Have Fun, Talk, Laugh And Generally Love Life! Flowering time necessary for the God's Treat strain of medicinal cannabis can be as little 42 days; practically unheard of. And in the longest case scenarios, she'll still be ready within 50 days for sure. That is a big plus for many budget-strapped, time-strapped novice growers. 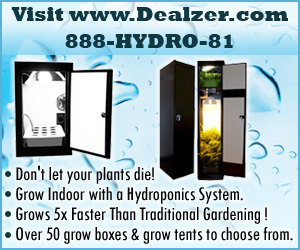 God's Treat marijuana plants are also able to adapt to a wide variety of outdoor climates. Her strong flavors and aromas are definitely pleasurable and she will bring out the party in any environment. She's not the type of cannabis strain that makes users withdraw or fall asleep. Get to know the God's Treat strain of marijuana starting today. She's fun, lighthearted, trippy and lasts a long time. Hard to beat! Gods Treat 4.30 out of 5 based on 2 ratings. 2 user reviews. This bud is crisp! Makes you very social and outgoing and is a great bud to blaze with your friends or just to chill out and have some fun! A happy weed that will be good earlier in the day if you have problems dealing with a lot of people this can help. It makes you a little more social and outgoing.